Before plug-in crystals were widely available for band selection on radios, LC tank circuits did all the frequency discrimination heavy lifting. 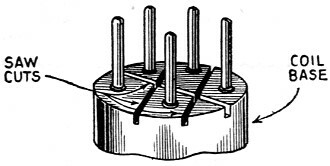 Accordingly, owners often had a selection of swappable inductors on-hand to enable listening to a variety of shortwave transmissions. 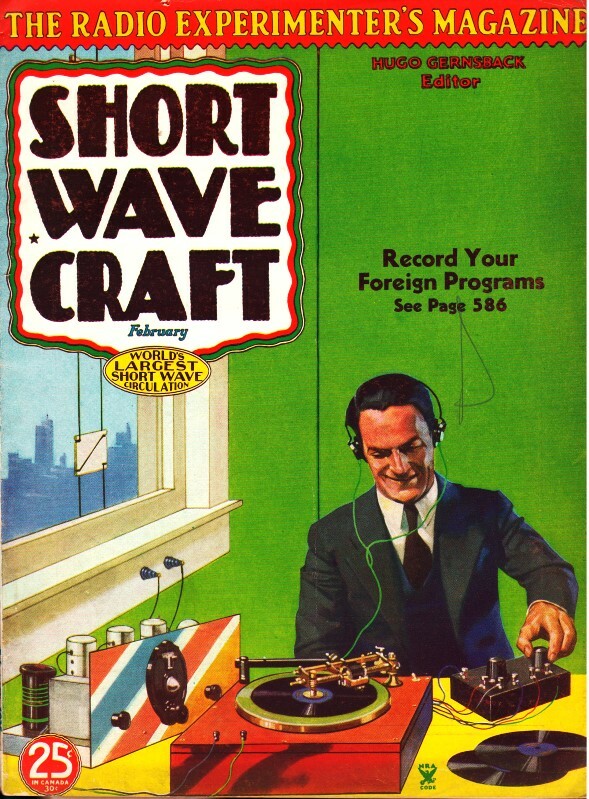 During the time period of this article in a 1935 Short Wave Craft magazine, new 'all wave' radios were hitting the showroom floors that largely mitigated the need for swapping components for the most popular bands. Here is a collection of vintage Toute La Radio issues (changed to Toute l'Electronique in 1962. In describing the construction of a new receiver, a recent issue of Toute La Radio, a French magazine, included a useful kink for improving the efficiency of plug-in-coils. By cutting partly through the base of the coil with a hack-saw, between the various pins which make contact with the socket, the length of insulation between pins is increased and the amount of insulation is reduced, both of which are desirable features. The trick shown above will considerably reduce high frequency losses in plug-in coil forms.